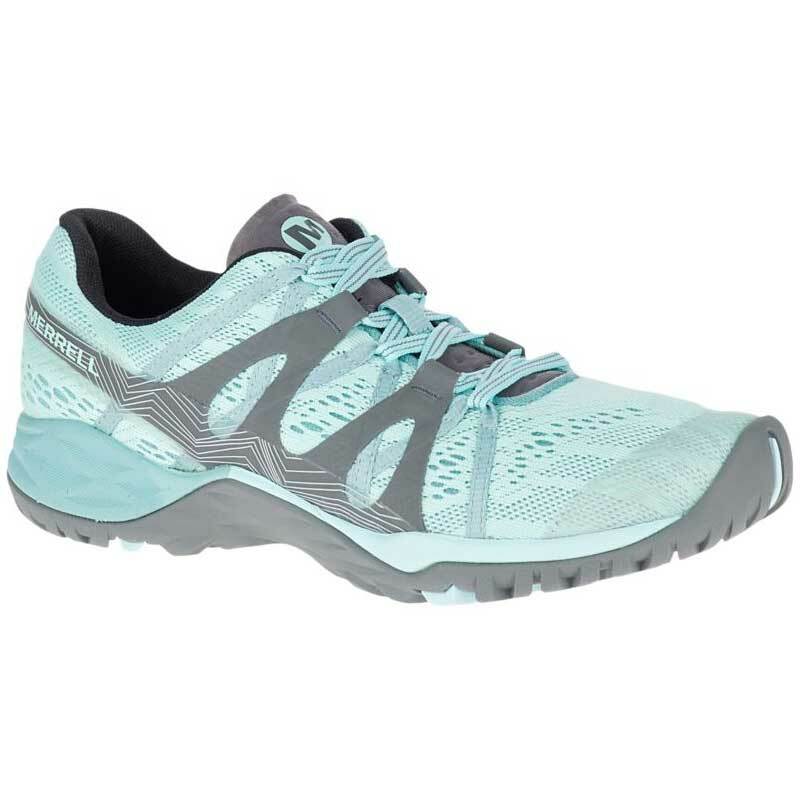 Built with gender-specific stability, the Merrell Siren Hex Q2 E-Mesh hiker is perfect for a ladies weekend on the trail. The upper is made from flexible and breathable engineered mesh and it has a bellows tongue to keep out the tiniest specks of debris. The Kinetic Fit™ Tri removable footbed provides light support to all arches of the foot and Merrell’s Air Cushion in the heel absorbs shock. The Siren Hex Q2 features a Q FORM™ 2 dual density midsole that provides alignment and comfort engineered specifically for a women’s build. Finished off with an M Select™ GRIP outsole for traction and underfoot protection, the Merrell Siren Hex Q2 E-Mesh hikers have it all.